#AddaTales prompts are designed to make your Thursdays more interesting, more creative and more fun! Collaborating with people to make a Twitter story is a great way to get those story writing juices flowing! 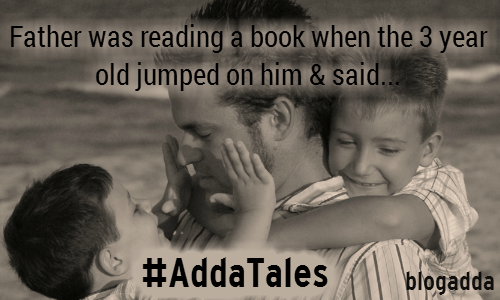 This week’s prompt was “Father was reading a book when the 3 year old jumped on him & said,” and we loved the winning tale that came out as a result of this prompt! Let’s take a look at the final story thread! #AddaTales is back and how! 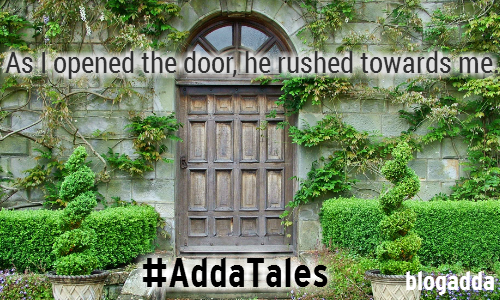 Today’s #AddaTales prompt was “As I opened the door, he rushed towards me.” With this kind of an open ended and mysterious prompt, creativity is bound to flow from all directions! Twitter showed some major enthusiasm and made a story that’s very close to our heart! After all, the protagonist is also from a field that we love and respect! Curious? Read this week’s #AddaTales, maybe you’ll find some inspiration from the ending! Ready, Steady, Read! It’s another Thursday and another story weaving session with #AddaTales. 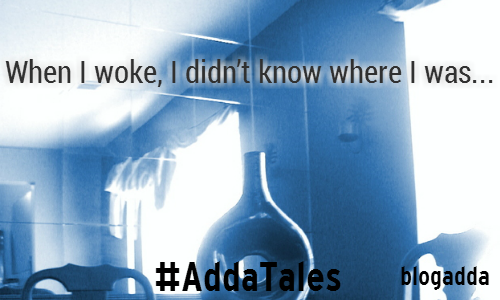 This week’s prompt was a chilling one – “When I woke, I didn’t know where I was.” BlogAdda’s Twitter friends are made of stern stuff, as they took this prompt and created great stories with it! Presenting two of the best #AddaTales. Read and tell us which was your favourite bit! 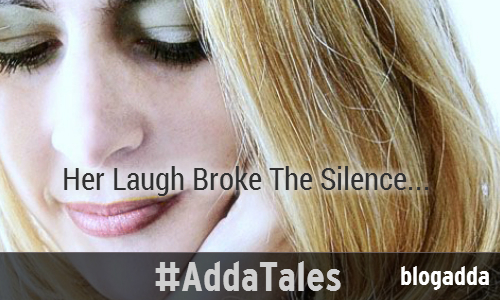 BlogAdda is back with another #AddaTales story. This week’s prompt was “Her Laugh Broke The Silence”. Interesting, right? Well, our bloggers seemed to agree as they built a story tweet by tweet. Read the story below and tell us what you think about it in the comments below! BlogAdda is all about creating stories, giving you a creative outlet and pushing the limits of your imagination to reach greater heights of story telling. #AddaTales on BlogAdda’s Twitter page is just an extension of this. Through #AddaTales, we want people to connect with each other over 140 characters and create a story together. In this age of short attention spans and 140 character limits, isn’t this the best way to nurture creativity? 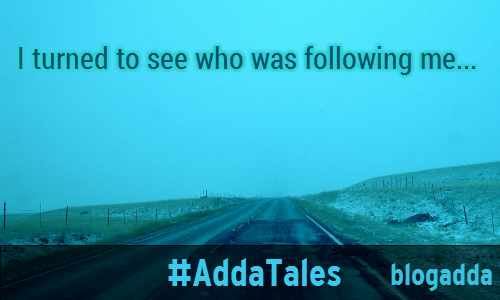 Here’s presenting this week’s #AddaTales, formed by our awesomely creative Twitterati with the prompt ‘I Turned To See Who Was Following Me…‘.